I love to photograph wedding details, especially nice shoes. 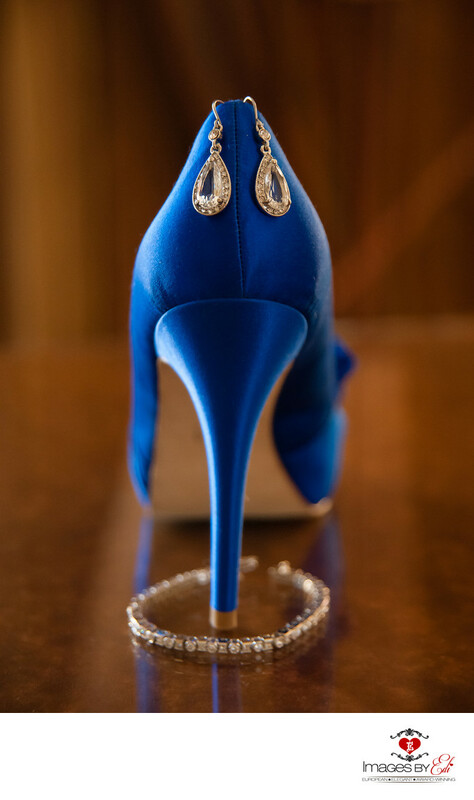 When I can incorporate them with wedding jewelry, its a plus, like on this Westin Lake Las Vegas wedding. I love how the blue shoes stands out in the faded brown background.